When the days and nights are wet and cold, you want quick, easy and dry access to your garage. 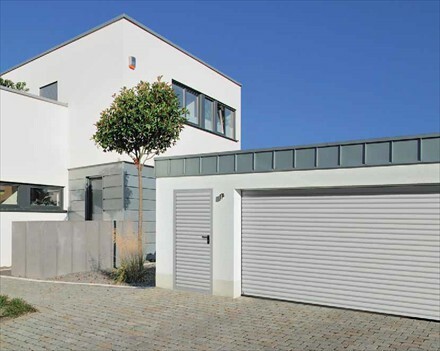 A roller garage door is comprised of a single curtain of steel or aluminium made up of dozens of interlocking sections. The entire garage door rises vertically upwards, rolling upon itself. Both manual and electric motor-driven models are available. 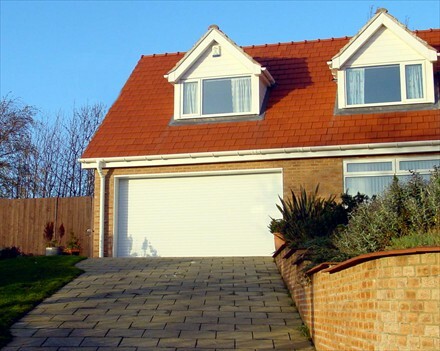 The space into which the door rolls fits to the rear surface of the front brickwork of your garage - as such, this door type needs a small amount of clear brickwork to the sides, and between 205mm and 450mm of ceiling clearance above the underside of the lintel. 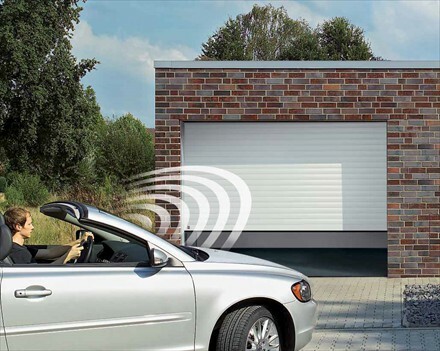 You don't need to install a door frame for this type of garage door, which increases the width available for you to drive through. It offers good security and good protection against the elements, with sealing installed all around the door. 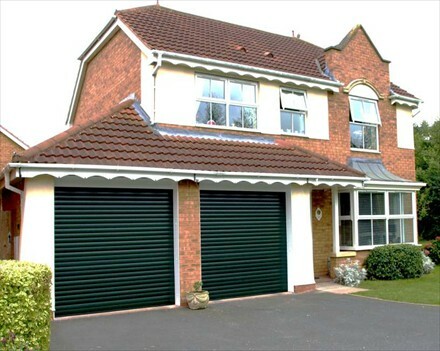 Roller garage doors are available both with and without insulation. 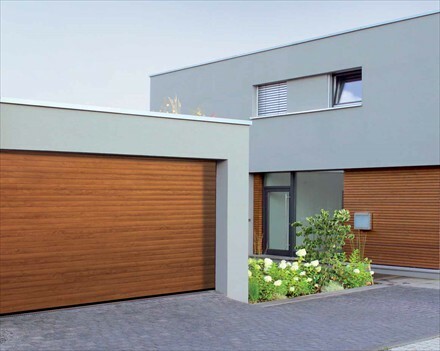 If you're looking for a garage door that saves space with a minimum of fuss, we can supply two distinct types of roller garage door - either the aluminium interlocking latch shutter (foam-filled for better insulation), or a one-piece steel sheet curtain.